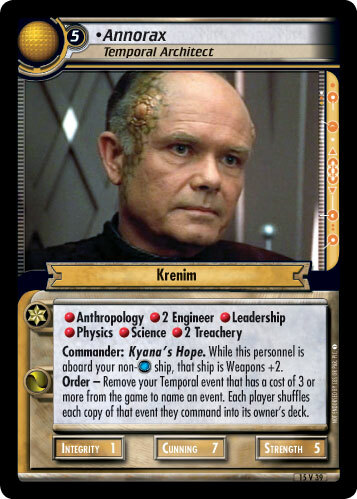 Commander: Kyana's Hope. 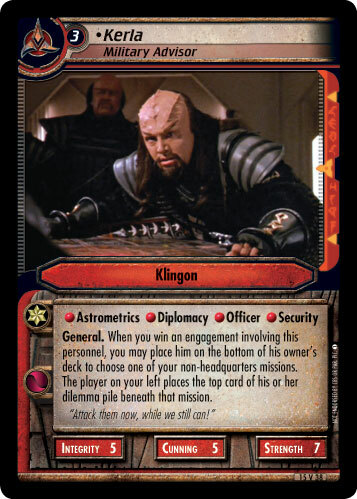 While this personnel is aboard your non- ship, that ship is Weapons +2. 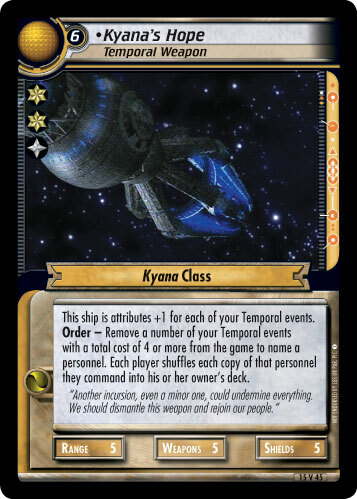 Order - Remove your Temporal event that has a cost of 3 or more from the game to name an event. Each player shuffles each copy of that event they command into its owner's deck.